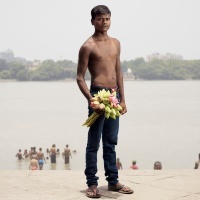 Ken Hermann shot this series of 55 portraits over a course of eight days in Kolkata’s Mullick Ghat Market, India’s largest whole sale flower bazaar. 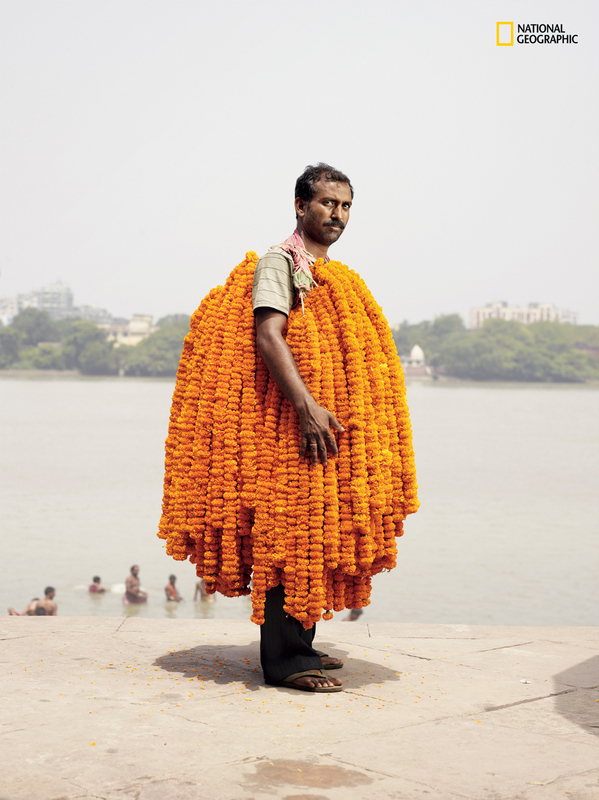 Images from the series Flower Man have been published in the National Geographic magazine’s May 2017 issue. 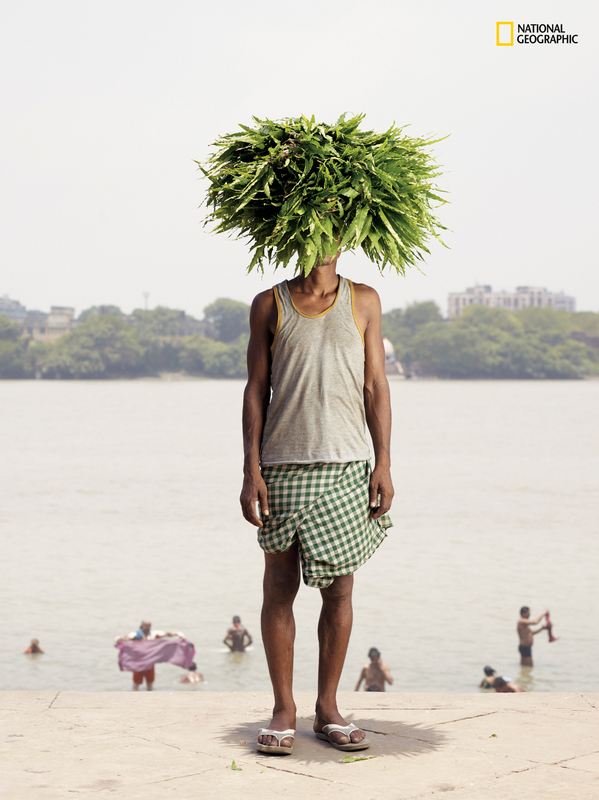 On the banks of the Hugli River, Angad Ray sports a crown of the false ashoka leaves he sells. 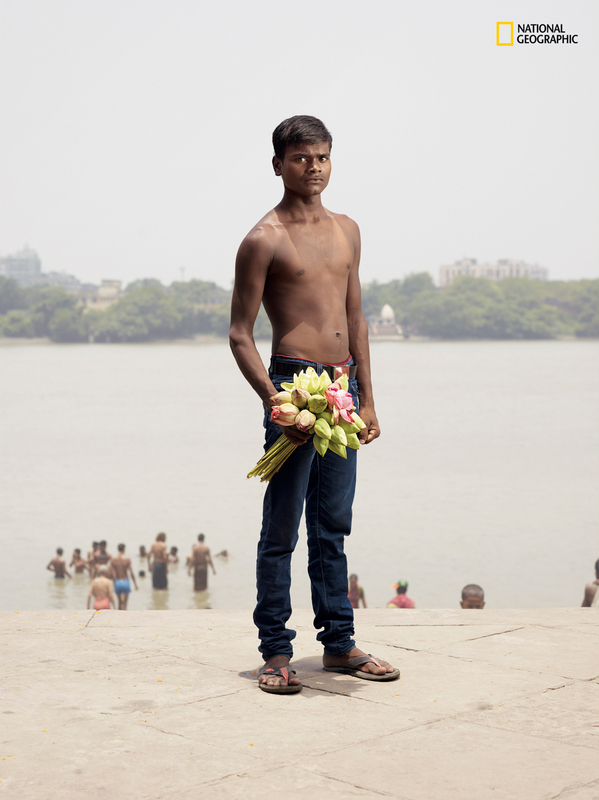 “They are macho men, but they held their petals in a most ladylike way. 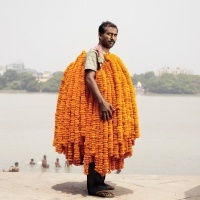 One guy looked like he was wearing a floral dress. Intrigued by this masculine-feminine contrast, I went back two years later to shoot a series of portraits” says Hermann, recounting what drew him to his subjects. 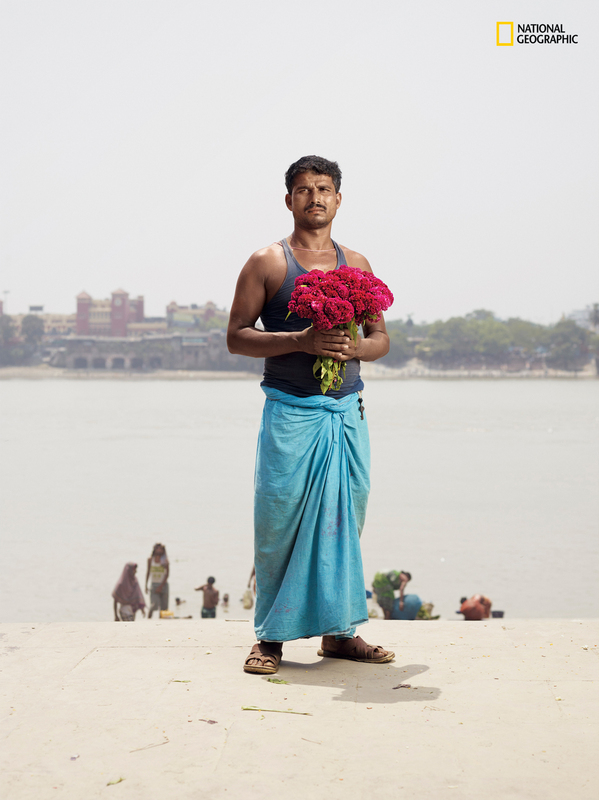 The men are photographed doing what they usually do, even posing with the same species of flowers they usually sell. 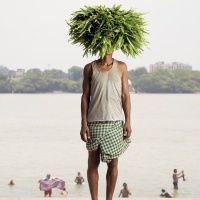 But the portraits have a certain awkward, deer-in-the-headlights quality, which Hermann explains comes from removing the vendors from their crowded marketplace and having them pose along the banks of the Hugli river. 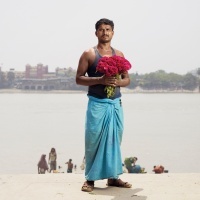 The choice of background in particularly clever, because it subtly provides context while allowing the focus to stay on men and their flowers. 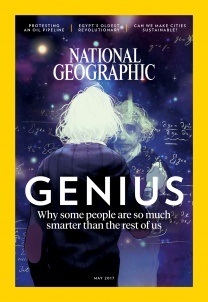 Ken Hermann’s work was selected as Best in Book, in the Photography Annual 2016 and in Gem Fletcher’s Exposure series.